TierraCast Hammertone Tall Hammered Cone Ends. 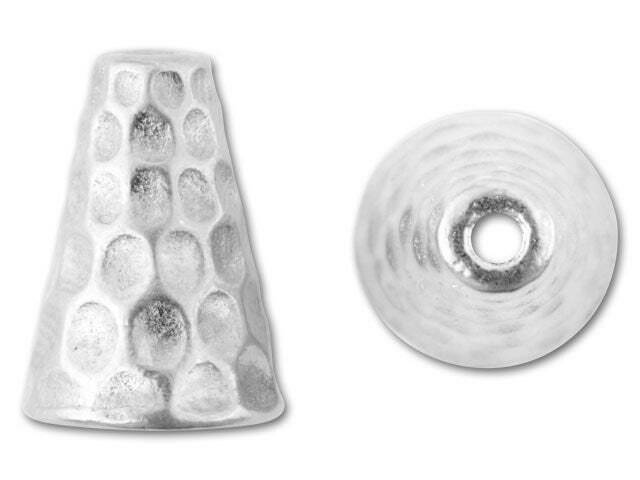 These can be used as strand reducers or bead caps. Also perfect endings for Kumihimo braids. Additional Information: TierraCast suggests Zap Jewelry Gel. Enter Zap in the shop search section to see this glue.